All of our scheduled tours are limited to a maximum of six people, we feel that this ensures each individual gains a fuller understanding of the areas covered, has unlimited access to their guide/ host and allows greater flexibility throughout the tour. All of our tours are fully inclusive, one day tours include lunch, entry to museums within the schedule, snacks throughout the day and pick up and drop off from the specified collection points, collection from other points within the tour area is available by prior arrangement. Should you require collection from outside of the tour area for a one day tour please contact us for a price. 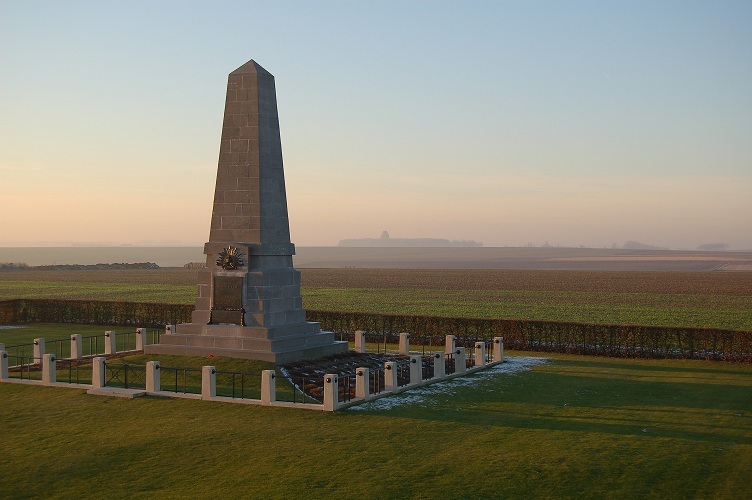 Our two, three and five day tours include Bed, Breakfast and 2 course evening meal including all wines and beer at Freeman Farm our B&B in Miraumont which lies within the Somme battlefields, lunch, entry to museums within the schedule, snacks throughout the day and pick up and drop off from the specified collection points are also included. Collection points for the Two, Three and Five day tours are as follows - Amiens, Arras, Lille, Ypres and The Somme. The opening day of the Battle of the Somme, Saturday 1st July 1916, will be etched in the history books of the commonwealth forever. With nearly 60,000 casualties of which nearly 20,000 died it will be remembered for the worst combat losses in a single day in commonwealth history. We follow the battle as it unfolded from Lochnagar crater through to the actions at Beaumont Hamel on the 1st July and the 13th November. 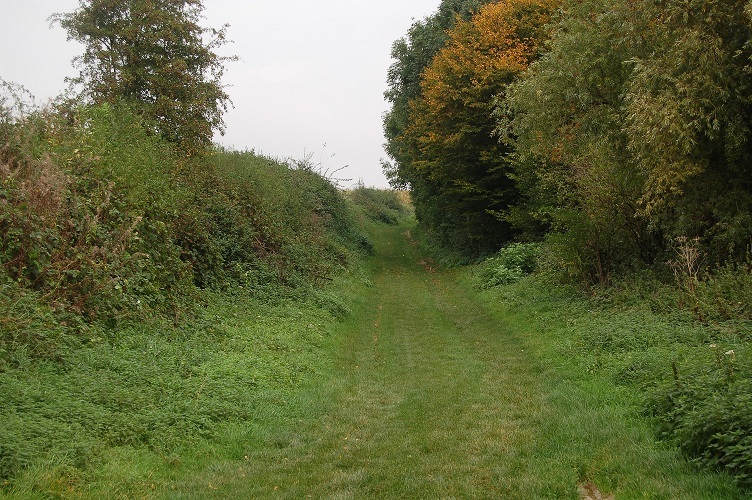 We look at the actions of the 34th division led by Major- General Ingouville-Williams (Inky Bill), the 34th Division suffered the greatest casualty numbers of all divisions 6380 on that opening day. We also look at the actions of Private Thomas Turral of the 10th Bn Worcestershire regiment which led to him earning a VC on the 2nd/3rd of July. We follow the 1st Australian Division and the British 48th Division as they make the first inroads into Pozieres on the 23rd / 24th of July at Gibraltar. 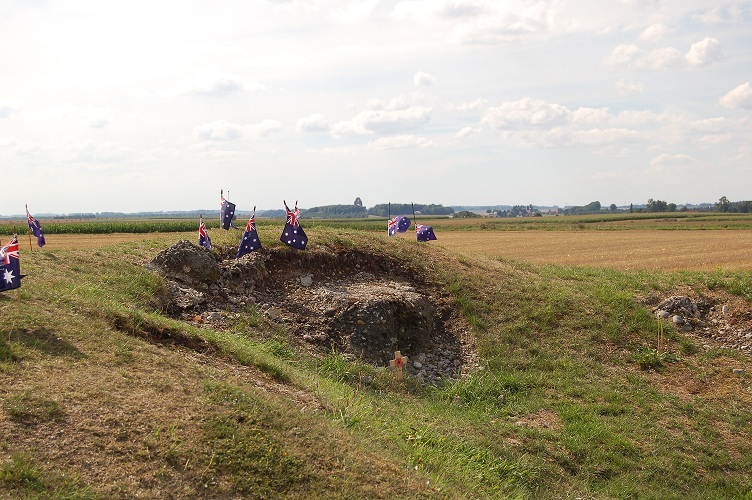 We continue with the Australians as they finally take the windmill at the Bapaume end of the village on the 4th August. We stay with the Australians as we follow the 1st, 2nd and 4th Divisions and their efforts to take the German fortress of Mouquet farm before being relieved on the 5th September, in less than 7 weeks the Australians suffered 23,000 casualties of which 6,800 had been killed or died of wounds. The Australian loss was comparable with their losses sustained at Gallipoli in 8 months. This imposing memorial was unveiled on the 1st August 1932 and commemorates the names of over 72,000 of those who have no known grave. 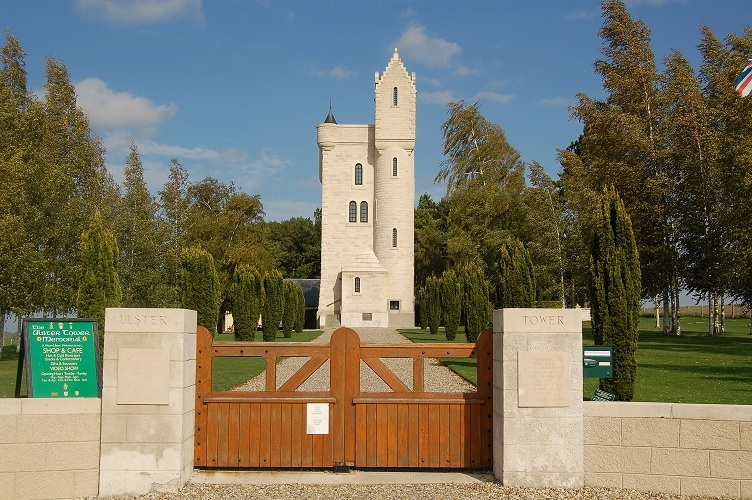 We visit the beautiful Ulster tower, modelled on Helens tower in Clandeboye, county Down and review the actions of the 36th Ulster division on the 1st of July. The 36th Ulster Division made massive inroads into the German defences, only to be forced back through a lack of support on each flank, winning 4 of the 9 VCs awarded on the opening day of the battle. We retrace the footsteps of the Newfoundland regiment, whose casualties as a percentage of opening strength were greater than any other battalion on the 1st of July. Moving towards the end of the battle of the Somme we look at the part played by the 51st Highland Division in taking the Y ravine. This is an all inclusive tour, all transport (during the tour), free collection from within the Somme region, lunch at Old Blighty tea rooms, snacks throughout the day and a guide/host for the day are included in the price. We have collection points throughout the Somme region. Alternatively you may want to bring your own car and discover the delights of Northern France on the way. This tour is available daily. Group discount available for 4 or more people. 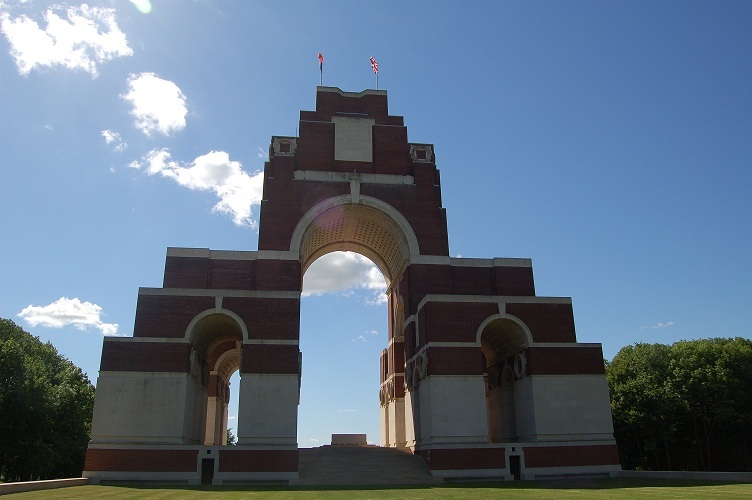 Ring now or complete the booking form to book your One day - Somme introductory tour. The Somme offensive was intended to be a decisive breakthrough and give relief to the French at Verdun, today it is remembered for the 60,000 casualties on that fateful opening day, the devastation of pals battalions and its effect on local communities and the overall contribution of a new army with limited experience of the horrors they would face. We visit the places whose names are synonymous with the Battle of the Somme, understanding the part they each played in this historic phase of the Great War. This is an all inclusive 2 day tour with 2 nights' bed, breakfast and evening meal at Freeman Farm. You will be picked up from one of the tour collection points, we travel to Freeman Farm, our accommodation for the duration of the tour where you will have the opportunity to relax with a 3 course evening meal, or you may want to bring your car and discover the delights of Northern France on your way. We start our first day at the Thiepval memorial to the missing before moving to the Ulster tower, we will follow the opening day actions of the 36th Ulster division which resulted in the winning of 4 VCs. Onto Mouquet farm and Pozieres where we follow the Australians as they entered the Somme offensive, we take lunch at the Old Blighty tea rooms in La Boisselle. The afternoon begins at the Lochnagar crater, created by 60,000 lbs of explosive and scene of the greatest number of casualties on the opening day. 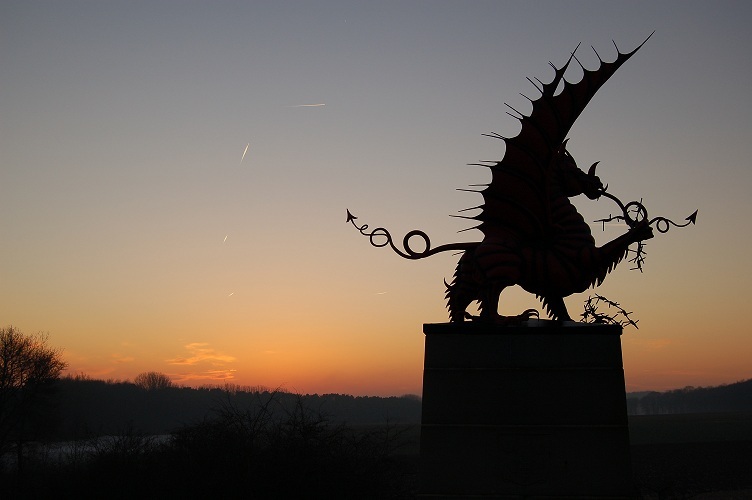 Moving to the 38th (Welsh) division memorial, facing Mametz wood as the Welsh had done prior to the actions of the 7th - 11th of July, to Flat iron copse cemetery, started on the 14th of July as the wood was being cleared contains 3 pairs of brothers, all killed on the same day as their sibling. 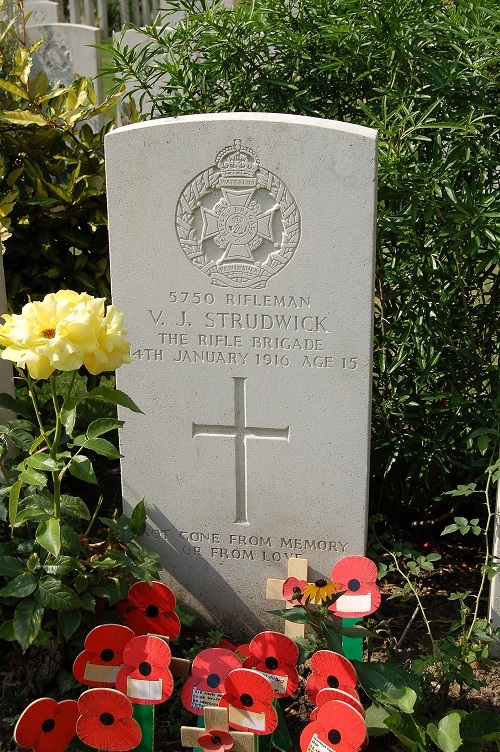 To the Devonshire cemetery where we see the headstone at the gate proclaiming "The Devonshires held this trench, the Devonshires hold it still" buried in their front line trench of the 1st July 1916. We then visit Fricourt a scene of disaster for the Green Howards and on to the German Cemetery where the Red Baron was buried for a short period in 1925. At the end of day 1 we return to Freeman Farm for a glass of the local grape and dinner. Day 2 begins at Serre where we follow the fate of the pals battalions commemorated in the Sheffield memorial park. Next to Beaumont Hamel, at Newfoundland Park we follow the exploits of the Newfoundland regiment and retrace their fateful steps of the opening day. After lunch we visit Albert, the home of the golden Madonna and the Somme trench museum set in a series of underground shelters that were used by locals on many occasions to shelter from invaders. 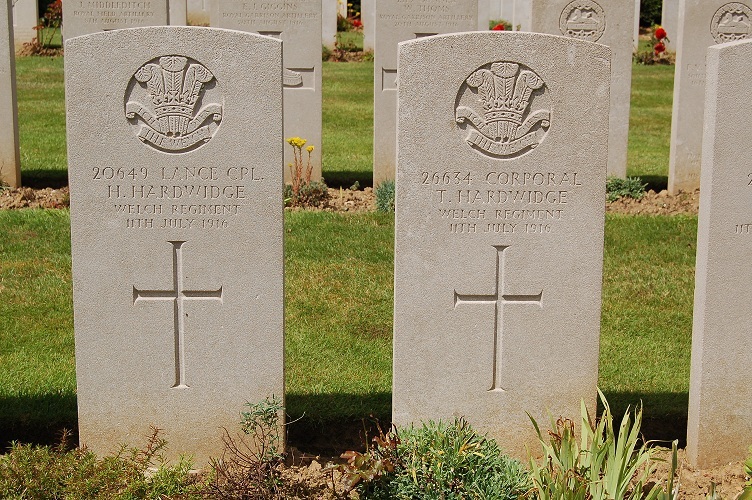 To High wood, we explore the many attempts to take it over a 2 month period at the cost of many thousands of lives. Our tour finishes as we look at the South Africans at Delville wood and their 5 day attempt to take the wood at a cost of over 3000 casualties. This is an all inclusive tour, all transport (during the tour), 2 nights' accommodation, breakfast, lunches and evening meals including drinks, free collection from any of our collection points, snacks throughout the tour and a guide/host for the tour are included in the price. 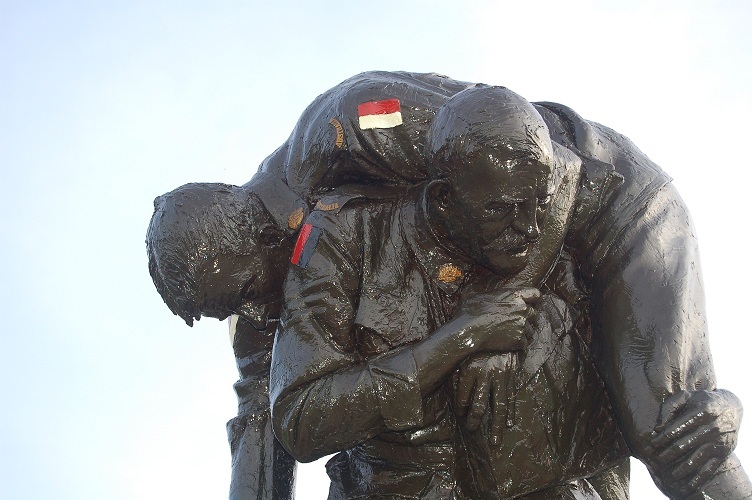 We have collection points in Amiens, Arras, Lille, Ypres and the Somme, collection or transport from other locations can be arranged at a cost only basis, we do not charge a booking fee for this service. Alternatively you may want to bring your own car and discover the delights of Northern France on the way. 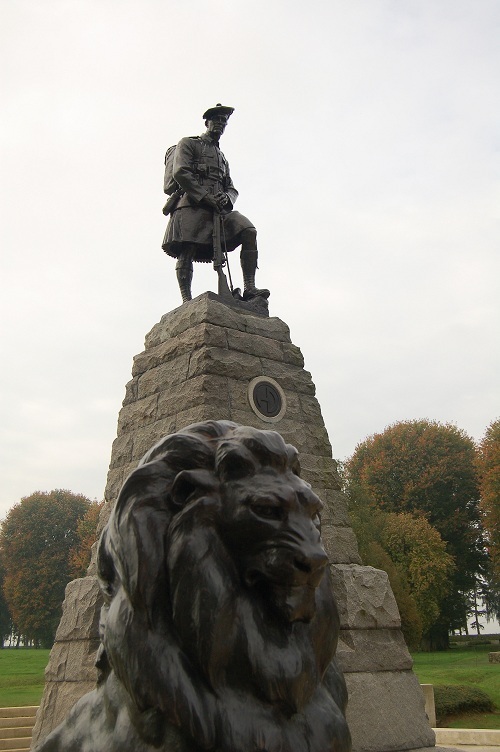 Ring now or complete the booking form to book The Somme 2 day tour. From the Christmas truce of 1914, the gas attacks of 1915, the mines of the Messines ridge and the deadly mud of the battlefields of Passchendaele in 1917, just a few of the actions that define the Ypres Salient in the annals of Great War history. 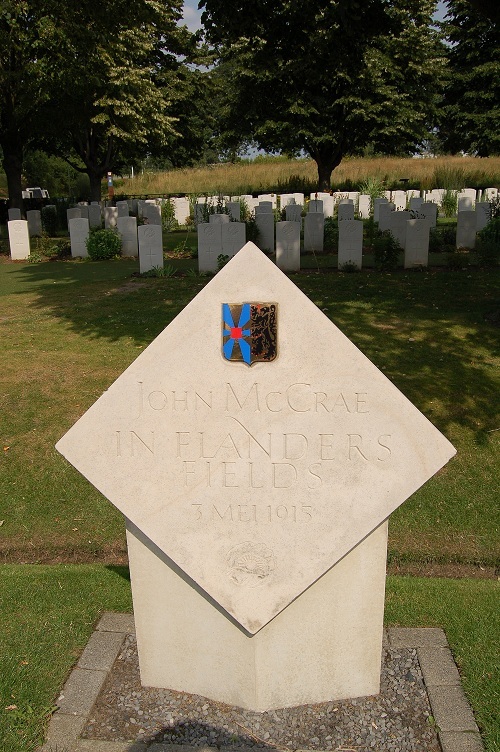 You will visit the key sites and gain an understanding of the strategic importance of the Ypres Salient. 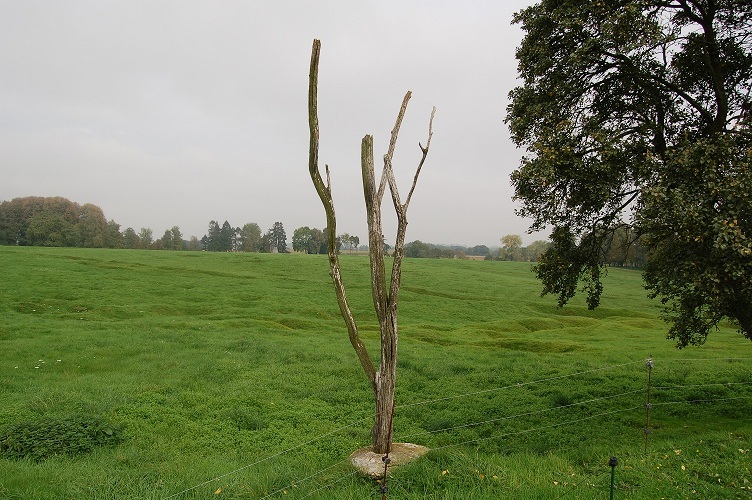 We start at Essex Farm, so closely associated with Lt Col John McCrae and his iconic poem, In Flanders Fields, and the bunker dressing stations, we continue the theme with a visit to the poets on the Pilckem ridge and gain an understanding of the importance of the ridge. 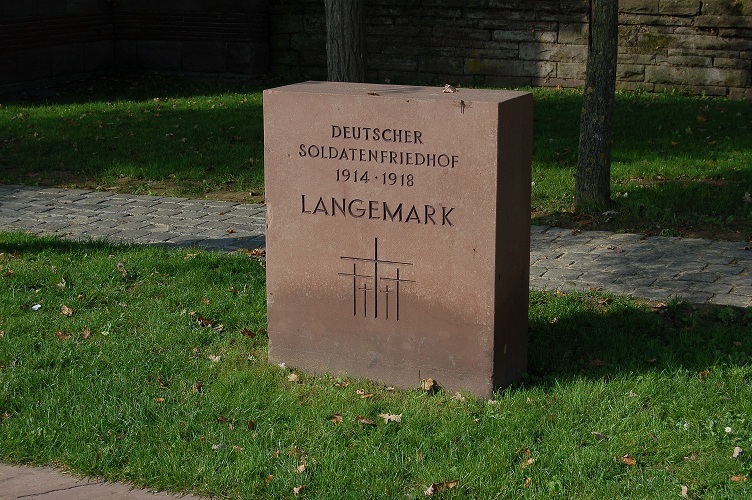 Started in 1915, Langemark German Cemetery has over 44,000 burials of which over 24,000 are commemorated in a mass grave near the entrance. 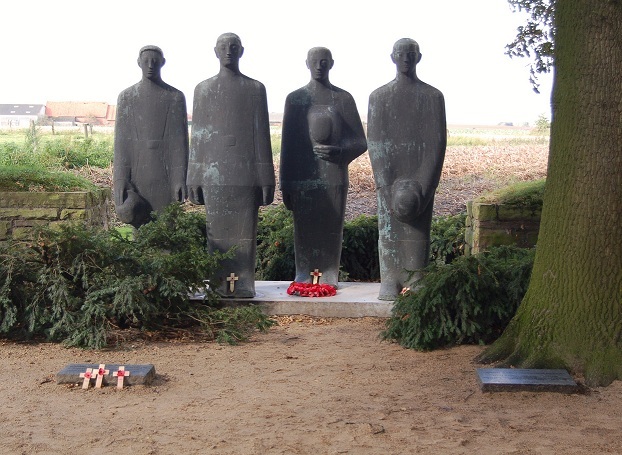 At the rear of the cemetery we see the sculpture of four mourning figures, standing guard over the fallen. We visit the Brooding soldier which marks the battlefield of the first gas attack in April 1915, we then move through to the village of Passchendaele. We take time to walk this, the largest Commonwealth Cemetery in the world with over 11,000 burials and nearly 35,000 names on the memorial to the missing at the rear. 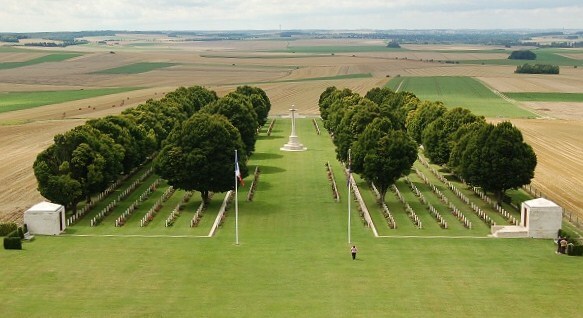 From the front of the cemetery we are able to view the panorama of the battle and follow the phases as they unfolded. We look at the Australian actions of September 1917 and take in the view from the Australian 5th division memorial. After lunch we visit the Hooge crater and then onto Hill 60 where we follow the action of April 1915 which resulted in 4 VC, s being awarded. We end our day with a visit to Ploegsteert with its 11,500 names on the memorial to the missing, a walk through the woods where Bruce Bairnsfather drew his first "Old Bill" cartoons and we visit the site of the Christmas truce. This is an all inclusive tour, all transport (during the tour), free collection from within the Somme or Ypres region, lunch at a local café, all snacks throughout the day and a guide/host for the day are included in the price. We have collection points throughout the Somme and ypres region. Alternatively you may want to bring your own car and discover the delights of Northern France on the way. 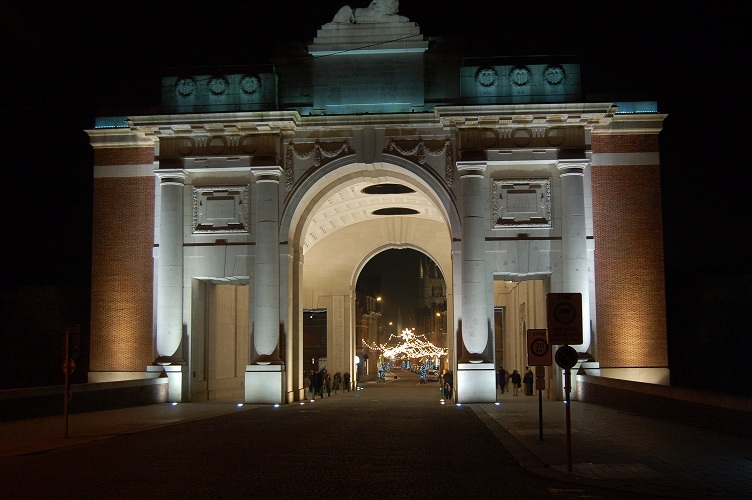 Ring now or complete the booking form to book your One day Ypres Salient introductory tour. The battlefields of the Ypres Salient witnessed the relentless onslaught of conflict throughout the Great War, your tour will take you to the places that millions of words have been written about, helping you to follow the key actions in the fields that they took place. This is an all inclusive 2 day tour with 2 nights' bed, breakfast and evening meal. Day 1 - We cover the Southern section of the Salient. We start the first day at Plugstreet with a visit to the memorial to the missing and take time to walk and explore the woods where Bruce Bairnsfather drew his first "Old Bill" cartoons. 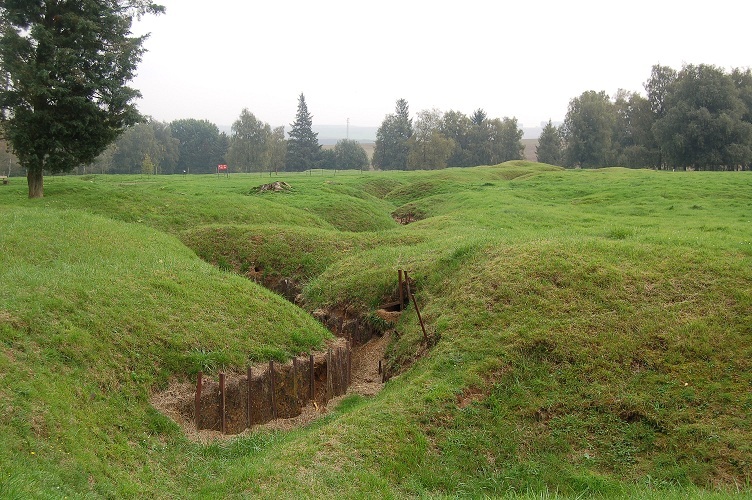 The Messines ridge, with its tunnelling operations and Kemmel are next with a visit to the trenches at Bayernwald. At Hill 60 we follow the actions of the 4 VCs won here in April 1915 before moving onto the Hooge crater, Hill 62 and the Bellewaerde ridge. In Ypres we will visit the beautiful Ramparts cemetery and "in Flanders field" museum before dinner, after which we attend the moving Last Post ceremony. We will stay in locally selected accommodation. Day 2 - We cover the Northern & Western sectors of the Salient. Poperinge starts day 2 with a visit to the town hall, which houses the execution cells and post from the great war, and onto the famous Toc H, everymans club, as the sign outside proudly states. 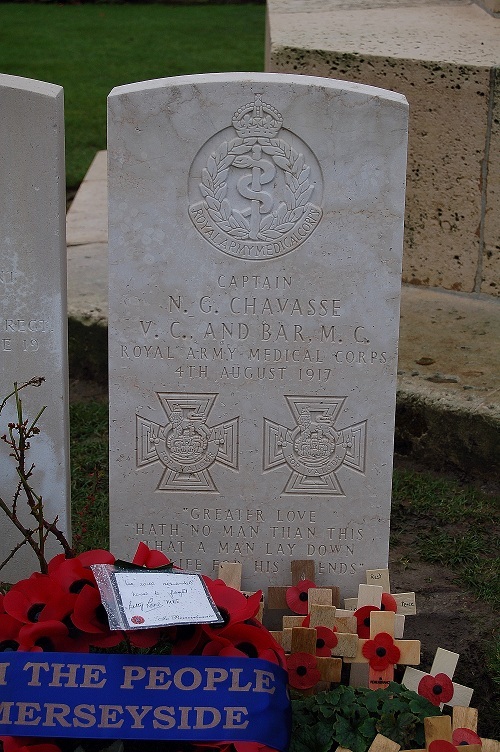 We then move to Brandhoek to visit the unique grave and headstone of Capt Noel Godfrey Chavasse, the only person to win 2 VCs in the great war, we now have a poets theme as we visit Essex Farm, so closely associated with Lt Col John McCrae and his iconic poem, In Flanders Fields, and the bunker dressing stations, we continue the theme with a visit to the poets on the Pilckem ridge and gain an understanding of the importance of the ridge. Next we visit Langemark German Cemetery with over 44,000 burials of which over 24,000 are commemorated in a mass grave near the entrance. 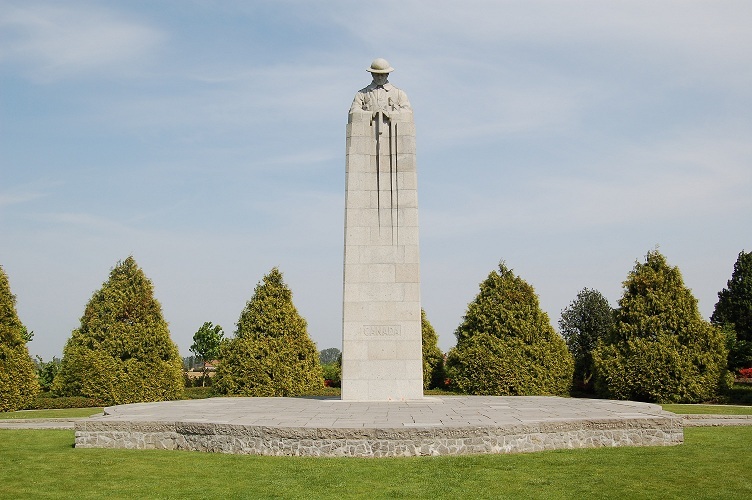 At Vancouver corner we visit the Brooding soldier which marks the battlefield of the first gas attack in April 1915, we then move through to the village of Zonnebeke and visit the memorial museum Passchendaele 1917 with its amazing underground dugout tunnel. We then move to Polygon wood and follow the Australians in September 1917 before finishing our tour at Tyne Cot, we take time to walk this, the largest Commonwealth Cemetery in the world with over 11,000 burials and nearly 35,000 names on the memorial to the missing at the rear. Ring now or complete the booking form to book your Ypres Salient 2 Day Tour. For over 4 years the battlefields of the Western Front raged with sounds of guns, the smells of battle, awful conditions and the individual experiences of millions of working class hero's striving tirelessly as inch by inch the ground was won and lost. 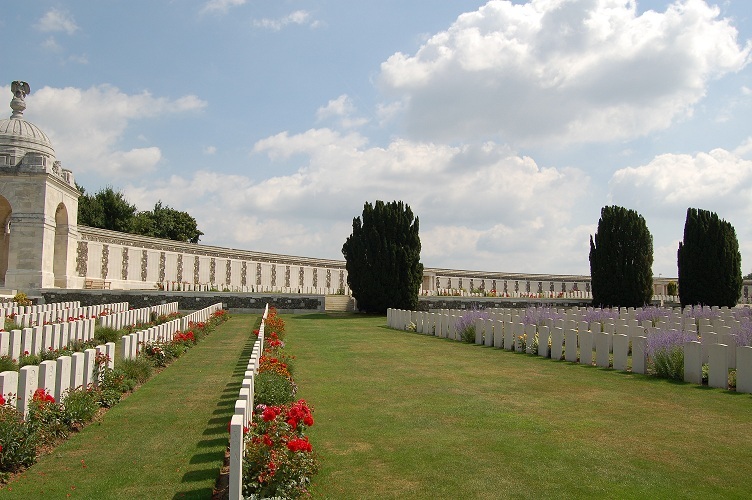 Your 3 day Western Front tour will take you to places that are etched in history, iconic names, Thiepval, Beaumont Hamel, Pozieres, Passchendaele, Hill 60, Messines, Vimy Ridge, Loos and Fromelles to name a few. You will have a day in the Somme battlefields and the Ypres Salient with the third day visiting Vimy Ridge, Fromelles and Loos. This is an all inclusive 3 day tour with 3 nights' bed, breakfast and evening meal at Freeman Farm. Next to Langemark German Cemetery , started in 1915 it has over 44,000 burials of which over 24,000 are commemorated in a mass grave near the entrance. At the rear of the cemetery we see the sculpture of four mourning figures, standing guard over the fallen. At Vancouver Corner we visit the Brooding soldier which marks the battlefield of the first gas attack in April 1915, we then move through to the village of Passchendaele. 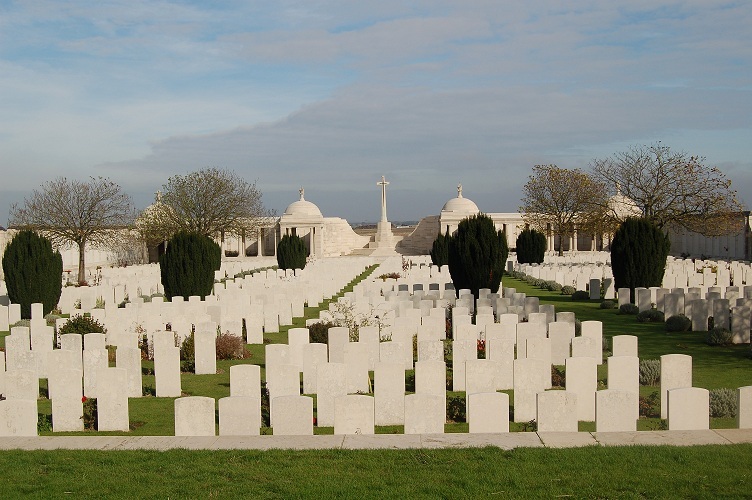 When visiting Tyne Cot we take time to walk this, the largest Commonwealth Cemetery in the world with over 11,000 burials and nearly 35,000 names on the memorial to the missing at the rear. At Polygon Wood we look at the Australian actions of September 1917 and take in the view from the Australian 5th division memorial. 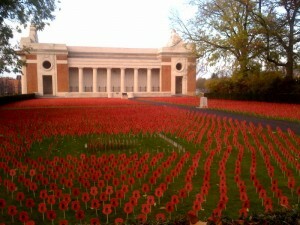 Ploegsteert wood and Memorial to the missing. After lunch we visit Ploegsteert with its 11,500 names on the memorial to the missing, a walk through the woods where Bruce Bairnsfather drew his first "Old Bill" cartoons and we visit the site of the Christmas truce. On the Messines ridge, the prelude to the battle of Passchendaele, we look at the work of the Tunnellers leading up to the explosions on the 7th June 1917. Then onto Hill 60 where we follow the action of April 1915 which resulted in 4 VC, s being awarded followed by a visit to the Hooge crater before taking dinner in Ypres. 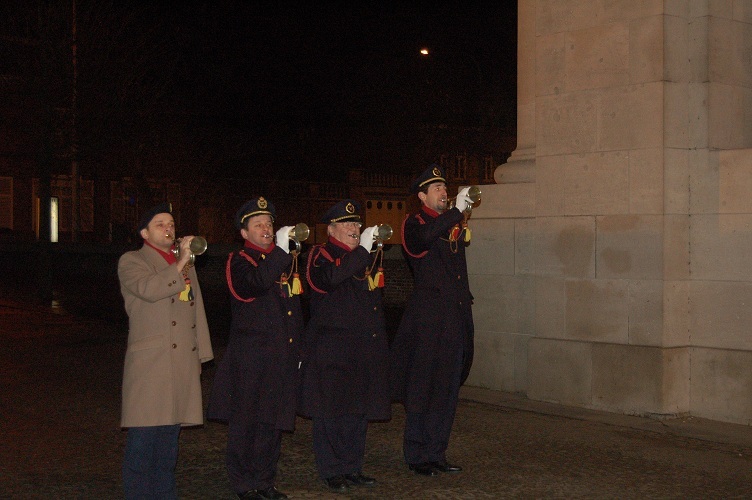 We finish our first day at the moving Last Post ceremony at the Menin gate. 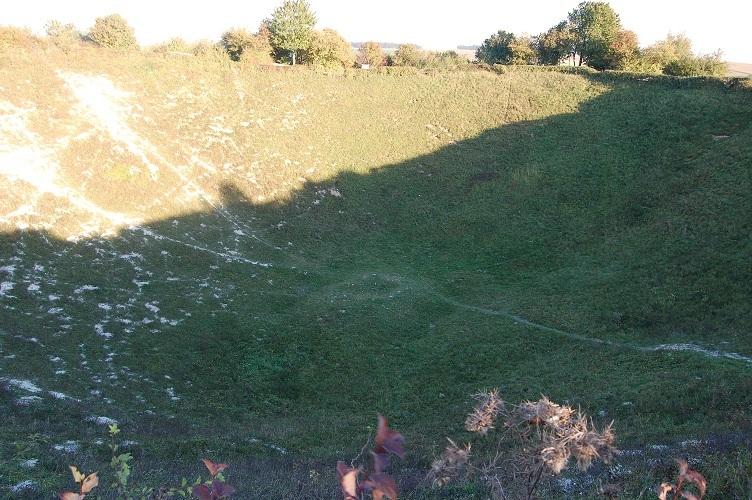 We start at the Lochnagar Crater and look at the actions of the 34th division led by Major- General Ingouville-Williams (Inky Bill), the 34th Division suffered the greatest casualty numbers of all divisions 6380 on that opening day. We also look at the actions of Private Thomas Turral of the 10th Bn Worcestershire regiment which led to him earning a VC on the 2nd/3rd of July. We continue with the Australians as they finally take the windmill at the Bapaume end of the village on the 4th August and onto Mouquet Farm where we stay with the Australians, we follow the 1st, 2nd and 4th Divisions and their efforts to take the German fortress of Mouquet farm before being relieved on the 5th September, in less than 7 weeks the Australians suffered 23,000 casualties of which 6,800 had been killed or died of wounds. We then visit Thiepval Memorial to the missing and visitor centre, This imposing memorial was unveiled on the 1st August 1932 and commemorates the names of over 72,000 of those who have no known grave. At Newfoundland Park / Beaumont Hamel we retrace the footsteps of the Newfoundland regiment, whose casualties as a percentage of opening strength were greater than any other battalion on the 1st of July. We then return to Freeman Farm for a relaxing evening with a 3 course evening meal with local wine and beers. 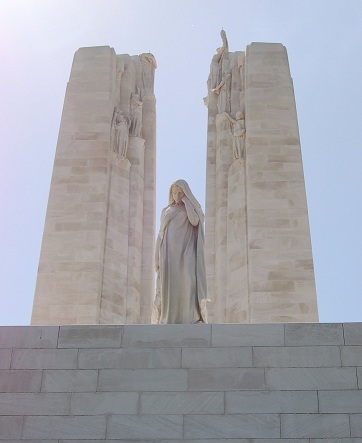 We start our day at the French national memorial and museum at Notre Dame de Lorette, we then travel onto the Canadian memorial park at Vimy ridge, we will visit the tunnels (available April-October) and preserved trenches and look at the action of the 9th April 1917. Next stop is Fromelles where we follow the Australian action of the 19th July 1916, we visit the new Pheasant Wood cemetery followed by VC Corner cemetery the Cobbers memorial and the site of Hitlers 1916 billet at Fournes-en-Weppes. We move onto the 1915 battlefields of Loos and finish our tour at the Faubourg d'Amiens cemetery and memorial in Arras. This is an all inclusive tour, all transport (during the tour), 3 nights' accommodation, breakfast, lunches and evening meals including drinks, free collection from any of our collection points, snacks throughout the tour and a guide/host for the tour are included in the price. 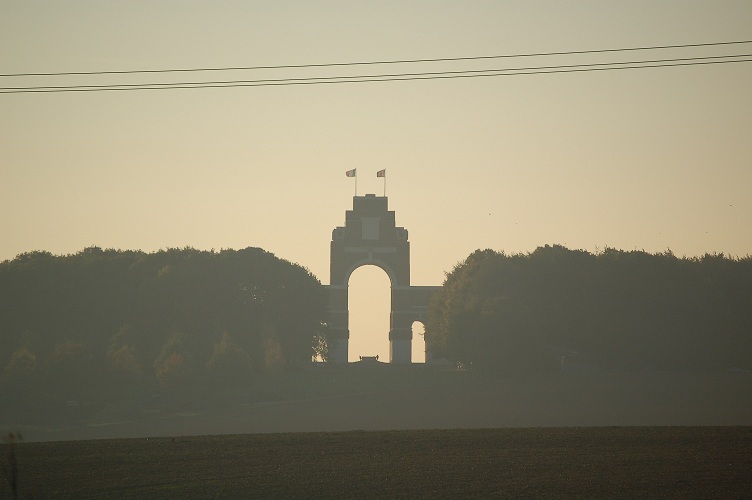 Ring now or complete the booking form to book your Western Front 3 Day Tour. Your 5 day Western Front tour will take you to places that millions of words have been written about, iconic names that you read in every book of the Great War, Thiepval, Beaumont Hamel, Pozieres, Passchendaele, Hill 60, Messines, Vimy Ridge, Loos and Fromelles to name a few. You will have 2 days in the Somme battlefields and 2 in the Ypres Salient with a day visiting Vimy Ridge, Fromelles and Loos. This is an all inclusive 5 day tour with 5 nights' bed, breakfast and evening meal at Freeman Farm or the equivalent in the Ypres area. Our second day ends as we look at the South Africans at Delville wood and their 5 day attempt to take the wood at a cost of over 3000 casualties. We start the first day at Plugstreet with a visit to the memorial to the missing and take time to walk and explore the woods where Bruce Bairnsfather drew his first "Old Bill" cartoons. We start day 3 at Plugstreet with a visit to the memorial to the missing and take time to walk and explore the woods where Bruce Bairnsfather drew his first "Old Bill" cartoons. Today we cover the Northern & Western sectors of the Salient. Poperinge starts day 4 with a visit to the town hall, which houses the execution cells and post from the great war, and onto the famous Toc H, everymans club, as the sign outside proudly states. We return to Freeman Farm for dinner. We start our day at the French national memorial and museum at Notre Dame de Lorette, we look at the battles of Artois in October 1914 and the subsequent battles in May and September 1915, onto Cabaret Rouge cemetery, the German and French cemeteries at La Targette and Neuville St Vaast and the Czech and Polish memorials. We then travel onto the Canadian memorial park at Vimy ridge where we take time to walk the extensive grounds, visit the tunnels (available April-October), spectacular memorial and preserved trenches as we look at the action of the 9th April 1917. 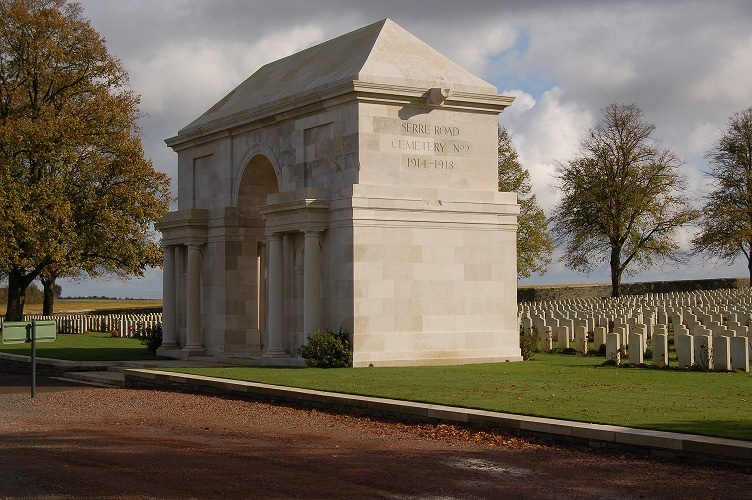 Next stop is Fromelles where we follow the Australian action of the 19th July 1916, we visit the new Pheasant Wood cemetery followed by VC Corner cemetery the Cobbers memorial and the site of Hitlers 1916 billet at Fournes-en- Weppes. 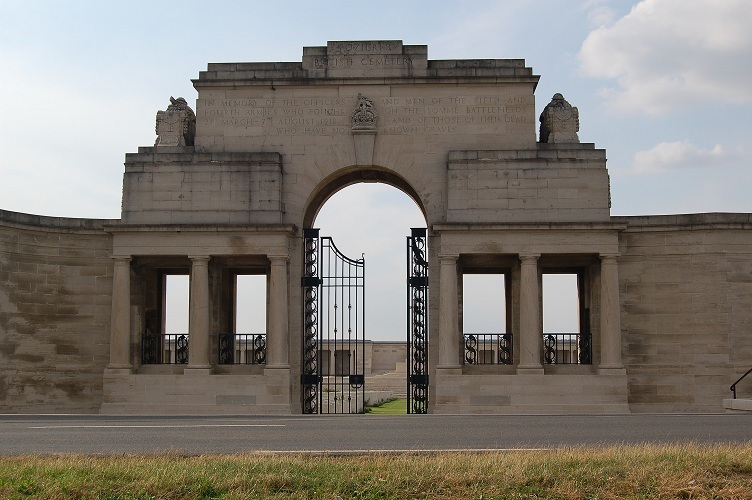 We move onto the 1915 battlefields of Loos and finish our Great War part of the tour at the Faubourg d'Amiens cemetery and memorial and the Royal Flying Corps memorial in Arras. Very close by, Although not Great War related we finish the overall tour at the 'Mur des Fusilles' where the Germans shot over 200 members of the resistance between 1941 and 1944, a concrete post marks the position of the old execution post. This is an all inclusive tour, all transport (during the tour), 5 nights' accommodation, breakfast, lunches and evening meals including drinks, free collection from any of our collection points, snacks throughout the tour and a guide/host for the tour are included in the price. Ring now or complete the booking form to book your Western Front 5 Day Tour. The significant contribution made by the ANZAC troops throughout the Great War, will never be forgotten, the battlefields from Gallipoli to France and Flanders are stained with the blood of over 70,000 killed and nearly 200,000 ANZAC wounded. Their sacrifice, still remembered today with a tear and immense gratitude, is clearly evident in the towns and cities which are synonymous with their heroic actions. We offer 1, 2, 3 & 4 day tours, covering the ANZAC actions, understanding the significance of their actions within the overall battle plans, walking the ground they fought over whilst experiencing the topography of this rolling countryside. We specialise, in bespoke fully researched ANZAC tours which allow you to follow in the footsteps of your ancestors, follow their actions with the use of the original war diaries written by the officers on the ground at the time, in conjunction with original trench maps. 1 day tours of Villers - Bretonneux & the Somme, Messines & Ypres, the 3rd battle of Passchendaele, Bullecourt & Fromelles, plus much, much more. 2 day tours offer you the choice of combining any 2 of the 1 day tours to suit your requirements. The 3 & 4 day tours cover all of the areas listed above and more dependent on your schedule and requirements. These tours are all inclusive, all transport (during the tour), accommodation for the 2, 3 & 4 day tours, breakfast, lunches and evening meals including drinks, free collection from any of our collection points, snacks throughout the tour and a guide/host for the tour are included in the price. 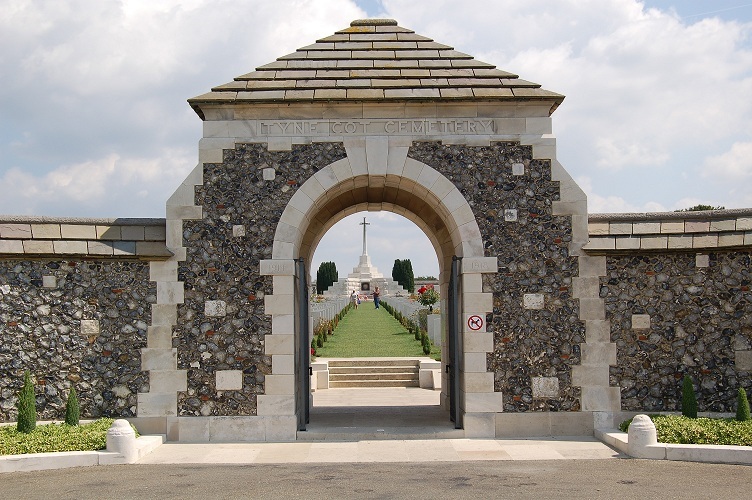 We have collection points in Lille, Ypres and the Somme, collection or transport from other locations can be arranged at a cost only basis, we do not charge a booking fee for this service. Alternatively you may want to bring your own car and discover the delights of Northern France on the way. Please call or complete an enquiry form with your requirements, for a quotation or any questions you may have. Group discount available for (TBC) or more people. Ring now or complete the booking form to book The ANZAC Experience. The Battle of Arras in April and May 1917 is one of those periods of the first World War that has been little studied and the area is not as often visited as, for example, the Somme or Ypres. The offensive on the 9th April 1917 actually consisted of as many divisions as attacked on the first day of the Somme. What is different is that they were successful in pushing the Germans back some miles. Over the following weeks, however, resistance stiffened and repeated attacks gained little ground and many casualties. The resultant daily death toll was higher than any other period of the war, a little known fact. We follow the Battles of the Scarpe, as they were called, from Vimy Ridge in the north to Cherisy in the south, covering the period 9th April to 3rd May 1917. Here we look at the actions of the Canadian Corps in taking Vimy Ridge and the role that subways had in the build-up and on the day itself. 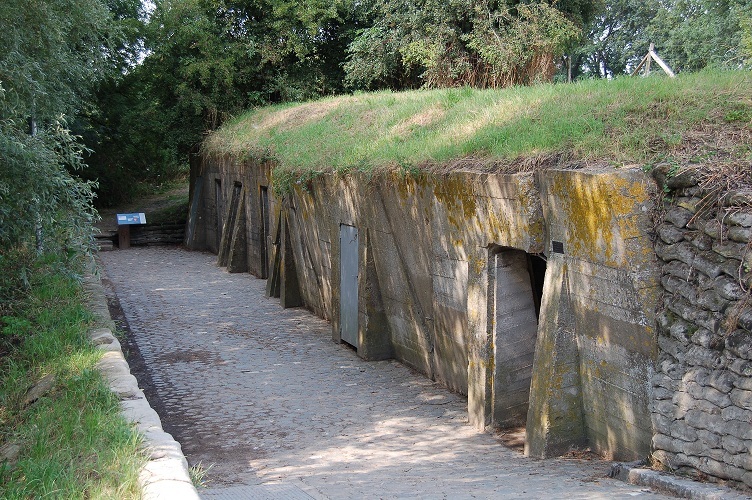 Vimy has reconstructed trench outposts and you will take a trip down some of the opened subways. We follow the Scottish divisions in their taking of high ground north of Arras, visiting a memorial to the 9th Scottish division and a cemetery containing graves of men only found quite recently in the area. 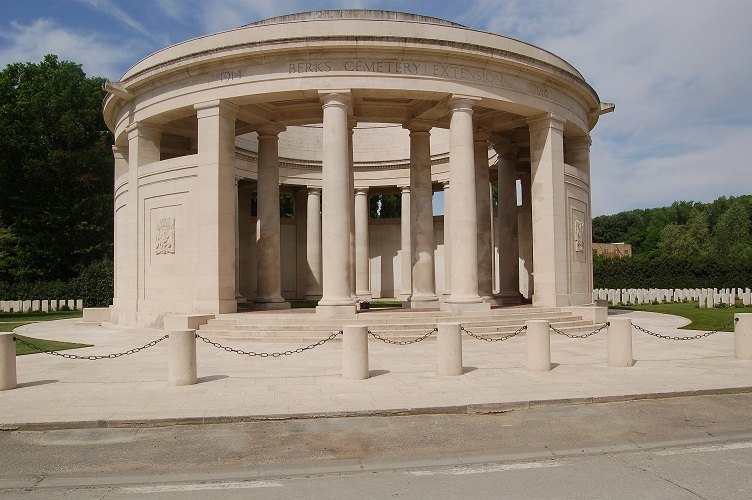 Near the centre of Arras lies the memorial to all those British and Commonwealth men who lost their lives and have no known grave as well as a large cemetery. 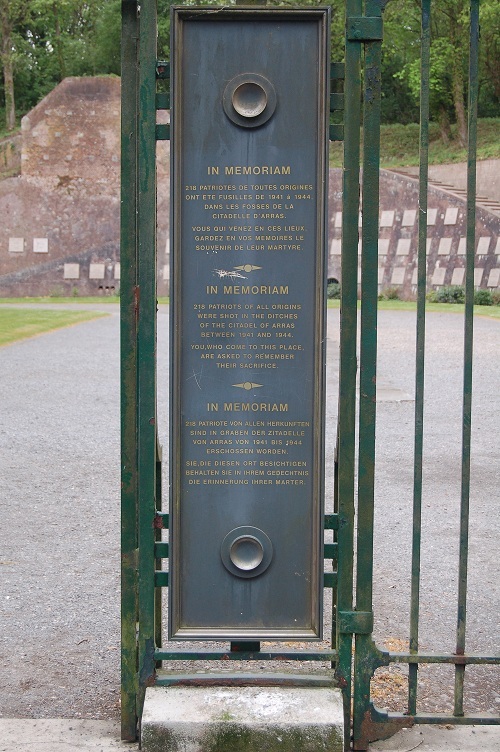 It is also where we find the Flying Services Memorial commemorating almost 1000 airmen who lost their lives on the whole Western Front and again have no known grave. la Carrière Wellington was opened in 2008. It is an underground museum which has been carefully and sensitively created in a section of the many kilometres of tunnels dug by the British Army Dominion Forces in the 1914-1918 war. You will take a tour of the quarry which housed men shortly before they went up into the front lines for the attack on the 9th April. The village, being on a high point, was a major objective for the British in their offensive. 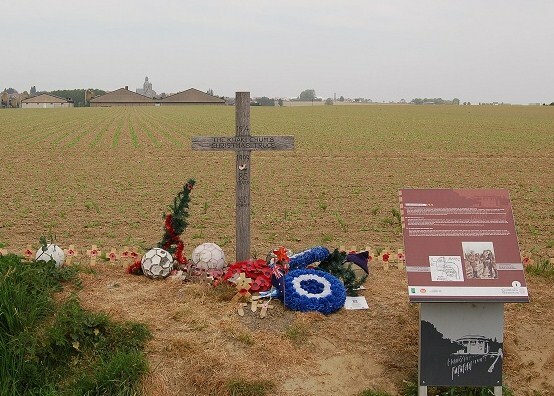 It was also the site of an attack by two battalions that failed disastrously, one of which was the Newfoundland Regiment and subsequently they built a memorial to their troops who fell there. We have collection points throughout the Somme region. Alternatively you may want to bring your own car and discover the delights of Northern France on the way. This tour is available daily. This is an all inclusive 3 day tour with 3 nights' bed, breakfast and evening meal at Freeman. Arras is not as often visited as, for example, the Somme or Ypres. This is a not reflective on how important a city and region this was and how much conflict took place in the area from 1914 all the way through to 1918. Over two days we look at the French defence of the city in 1914, their attempts to take the high ground north of Arras in 1915 and the subsequent British and Commonwealth offensive in April and May 1917. The offensive on the 9th April 1917 actually consisted of as many divisions as attacked on the first day of the Somme. Although successful on the first day, over the coming weeks the resultant daily death toll was higher than any other period of the war, a little known fact. We start the day in the area around the Lorette and Vimy Ridges. Here we will follow the fighting and events of 1914 and 15 as the Germans attempted to outflank Arras from the north and only a heroic defence by French troops stopped them. 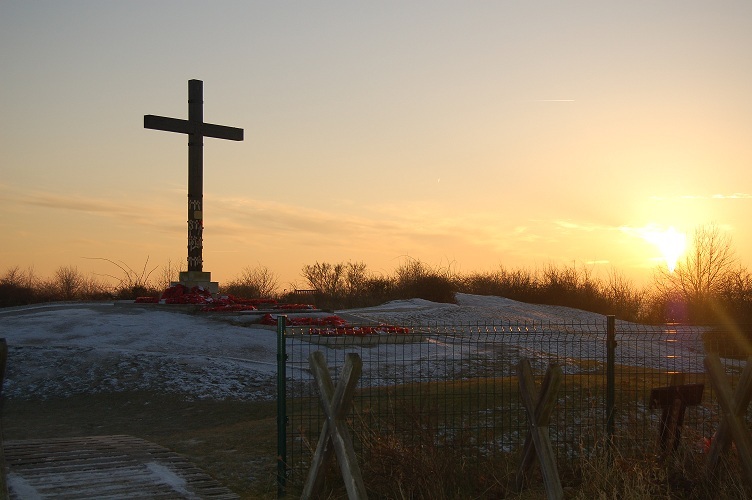 We will visit Notre Dame de Lorette French Cemetery and the nearby new Ring of Remembrance, commemorating 579,606 men and women or all nationalities who lost their lives in the Nord Pas de Calais region of France. We will then look at the area where the French attacked throughout 1915 in an attempt to clear the Germans off both ridges and visit cemeteries demonstrating the toll of the ferocity of that fighting on both sides, near La Targette. The role of the Moroccans of the French army will be highlighted with a visit to their memorial on Vimy Ridge. This leads us seamlessly into 1916 and ’17 where we first look at the results of the mine warfare which took place on the ridge. Then we look at the actions of the Canadian Corps in taking Vimy Ridge on the 9th April 1917 and the role that subways had in the build-up and on the day itself. 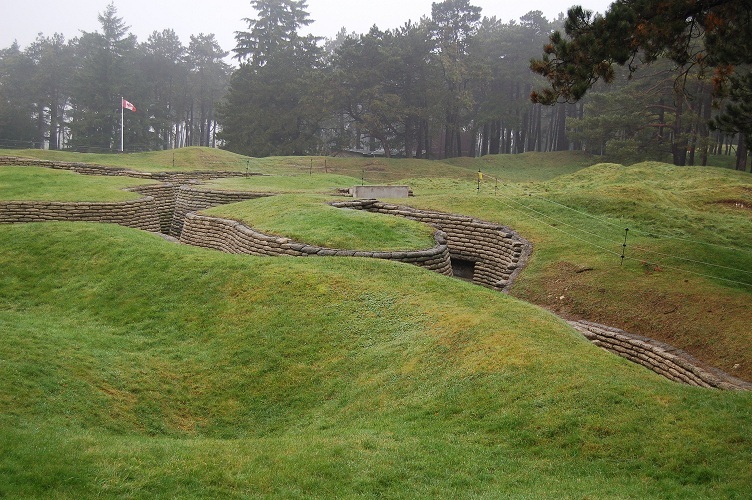 Vimy has reconstructed trench outposts and you will take a trip down some of the opened subways. We will follow the story of Lance Sjt. Sifton of the 18th Canadian battalion winning a posthumous VC and visiting the very unusual burial ground where he now lies. An extension of the ridge is the area of Pont du Jour, also vital high ground, taken on the same day by the 51st (Highland), 34th and 9th (Scottish) Divisions. We will look at the ground and visit a memorial to the 9th division and a cemetery containing graves of men only found quite recently in the area. In Arras itself we visit the Faubourg d’Amiens memorial and cemetery. 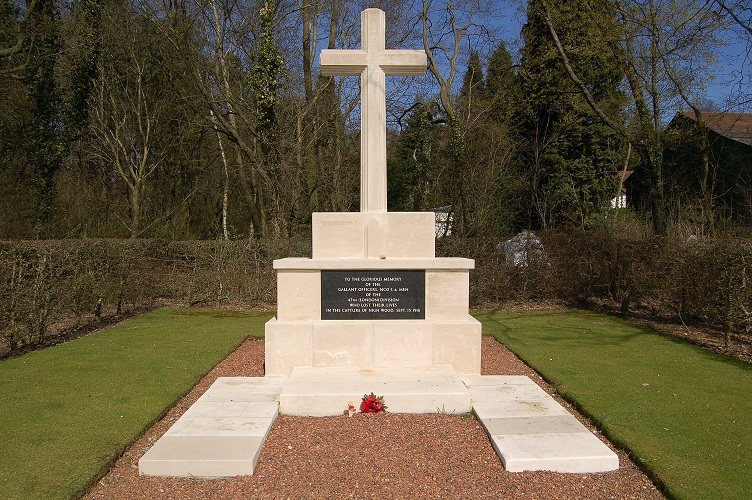 It is the memorial to all those British and Commonwealth men who lost their lives and have no known grave as well as a large cemetery. It is also where we find the Flying Services Memorial commemorating almost 1000 airmen who lost their lives on the whole Western Front and again have no known grave. We finish the day by staying north of the River Scarpe but moving forward to later April and beginning of May 1917 when the attacks of the British became less successful and many men were to lose their lives in trying to take the village of Roeux and its strong point, the Chemical Factory. 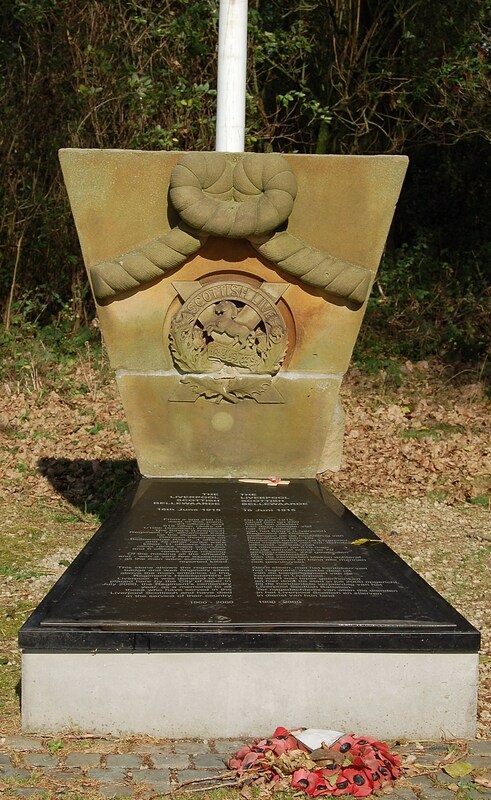 We will look at the fate of the Seaforth Regiment, now commemorated nearby. We begin the day south of the River Scarpe to follow the fortunes of the April and May 1917 attacks in this region. We start by heading for the high ground of Observation Ridge from which the Germans had, again, such a commanding view over the city. It also serves as a viewpoint for us to look at the actions of the 15th (Scottish) and 12th (Eastern) Divisions as they forced their way over the ridge and down into Battery Valley, taking German gunners very much by surprise. Many of the 12th Division men sheltered in the Wellington Quarries before the attack and it is to here we turn next. 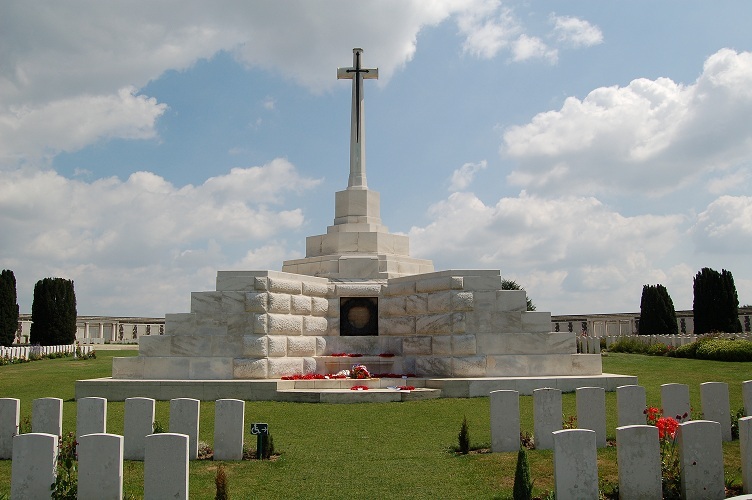 We will virtually follow in the footsteps of the men emerging from the Wellington caves into Tilloy les Mofflaines with its large cemetery and up onto Telegraph Hill. From this vantage point we can follow the fortunes of the 3rd, 14th and 56th Divisions in their assault on a fortification called The Harp and the formidable Hindenburg Line to the South. Next we move on to Neuville Vitasse, a stronghold taken on the first day but also the area where the offensive began to unravel. 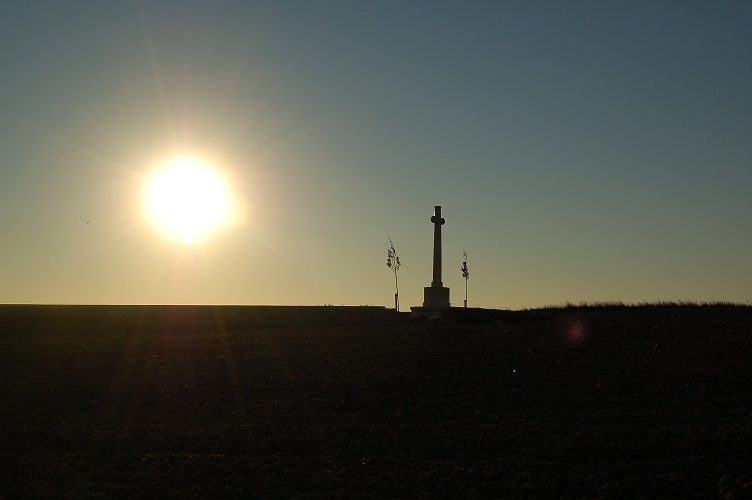 A small battlefield cemetery nearby tells the story of the first day very poignantly as well as serving as a high point from which to view the battlefield of the 14th, 56th, 30th and 21st Divisions. In the distance we see the Héninel Plateau and it is to here we move next to survey the fighting over the rest of April and into May. Above the village of Héninel we will look at the legacy left behind by bitter fighting over this period. This can be seen by scattered battlefield cemeteries mingled with remains of German bunkers. We will gain the high ground, as men of the Manchester Regiment did and where many remain to this day. In the distance will be seen Cherisy, a prize not to be taken in the battles but a bitter place for men of the Rifle Brigade. We finish the day in Monchy le Preux. The village, being on a high point, was a major objective for the British in their offensive. 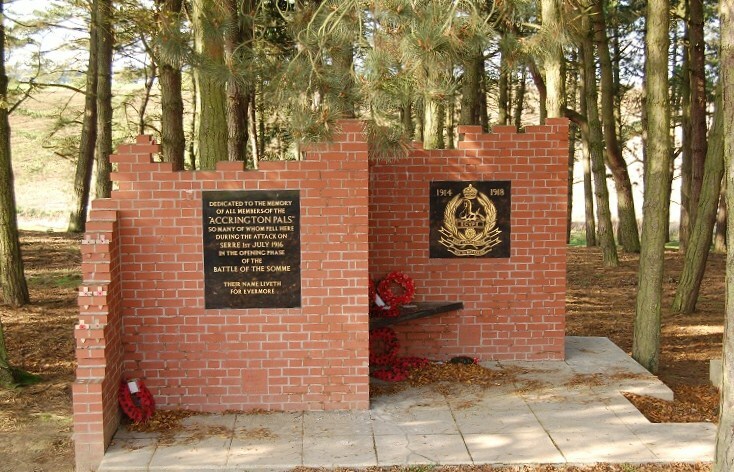 It was also the site of an attack by two battalions that failed disastrously, one of which was the Newfoundland Regiment and subsequently they built a memorial to their troops who fell there. We will follow that action and that of other units as a counter attack that followed almost led to the village being lost. We will also investigate the role of cavalry in the action and the bloody consequences of their involvement. Arras is not as often visited as, for example, the Somme or Ypres. This is a not reflective on how important a city and region this was and how much conflict took place in the area from 1914 all the way through to 1918. Over three days we look at the French defence of the city in 1914, their attempts to take the high ground north of Arras in 1915 and the subsequent British and Commonwealth offensive in April and May 1917. The offensive on the 9th April 1917 actually consisted of as many divisions as attacked on the first day of the Somme. 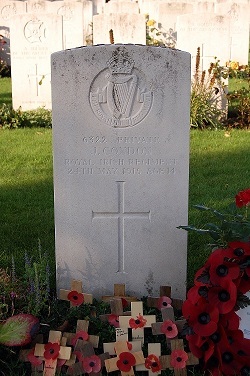 Although successful on the first day, over the coming weeks the resultant daily death toll was higher than any other period of the war, a little known fact. Then we move to 1918 and look at the defence of the British against the German March attacks and how, by saving the city they made a significant contribution to the failure of the Spring Offensive. Finally we see how the Canadians played such a vital role in taking the Drocourt-Quéant Line in August 1918 and thus helping to lead to the final victory in November. We start in the area where we left off in Day 2 by looking at how the British defended the area around Monchy le Preux and the ferocious actions of the troops, many of whom had been involved in the taking of the very same area the year before. The German ‘Mars’ attack on 28th March was to capture Arras but failed with last ditch defending where whole British companies disappeared in the fighting. We then move on in time to August 1918 and the final great attack of the Allied forces which led to the ‘Hundred Days’ the final advance to victory. We will look at the role of the Canadian Corps, first in its attacks in the valley of the Sensée making preliminary ground in preparation for the assault on the Drocourt–Quéant line. From there we will look at the site of Crow’s Nest, a significant point in the German defences and the exploits of Lieutenant George McKean VC at Cagnicourt. From there onto Dury Hill and village where, as well as paying our respects to those who fell in the area we will also visit the Canadian Memorial on the Cambrai Road. This is an all inclusive tour, all transport (during the tour), 3 nights' accommodation, breakfast, lunches and evening meals including drinks, free collection from any of our collection points, snacks throughout the tour and a guide/host for the tour are included in the price. We have collection points in Amiens, Arras, Lille, Ypres and the Somme, collection or transport from other locations can be arranged at a cost only basis, we do not charge a booking fee for this service. Alternatively you may want to bring your own car and discover the delights of Northern France on the way. 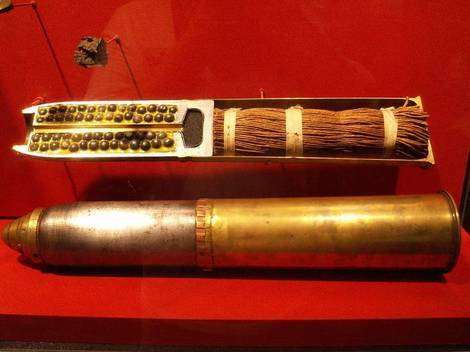 Manufacture of 18 pounder ammunition rose from 3,000 in July 1914 to 1,014,812 in October 1915.